In the early 1950’s, Hilton Meigs of Tyler Texas made what many consider the perfect charcoal barbecue grill. He designed and manufactured a cast aluminum grill and smoker calling it the “Portable Kitchen” and sold it around the mid-south out of the back of his car. In 1960 the company was bought by Lewis Hamlin and manufacturing moved to Little Rock, Arkansas where it remained until a fire and business issues stopped production in the mid-1970’s. The somewhat legendary durability of this charcoal grill ensured that thousands of them still existed in perfect working order by the end of the 1990’s when a local attorney found one in Little Rock, AR. In 1998, grill enthusiast Paul James discovered a Portable Kitchen Charcoal Grill and Smoker at a yard sale. His interest sparked, he purchased the Portable Kitchen name and began producing sparkling new aluminum PK grills from castings of the original product. 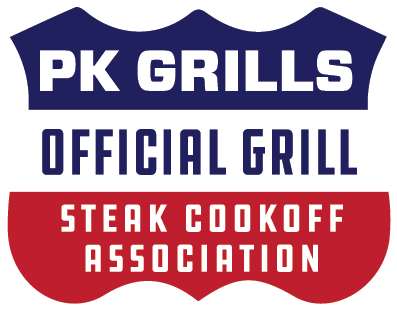 After a twenty year hiatus, PK was back in business in Little Rock. Over 60 years since its inception, the grills today are nearly identical to the one Hilton Meigs made all those years ago. # “Absolutely the best grill ever. We still have the the one that my dad bought in 1954. Mom cooked at least 10,000 pounds of beef on it, my brother took it to college, and my son took it to college…"
# “I still have my Dad’s PK…Almost 50 years later and the grill works as good (if not better) than when it left the shipping box…"